Energy storage advocates in New York are calling for the state to set a California-style portfolio standard that would add 2 GW of multi-hour energy storage by 2025. The New York Battery and Energy Storage Technology Consortium (NY-BEST) recommended the target in a filing last week before the state Public Service Commission (PSC). The energy storage would help the grid assimilate the high levels of renewable energy planned by the state, according to the group. The recommendation — which the organization said was based on California’s energy storage procurement targets — was filed as part of New York’s Case 15-E-0302, which aims to implement a large-scale renewable energy program and clean energy standard. In addition, the energy storage target was filed in Case 14-M-0101, New York’s Reforming the Energy Vision (REV). The energy procurement would ramp up in steps, starting with 500 MW of multi-hour energy storage by 2020, 1 GW by 2022 and 2 GW by 2025. 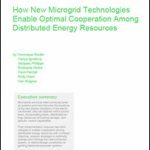 “Energy storage is critical to providing flexibility for renewable resources, as well as achieving a host of REV objectives. There are multiple analyses which support the assertion that multi-hour storage assets of 4 GW or more will be needed in order for New York to meet the energy and emissions goals it has set for 2030, and NY-BEST concurs with these analyses,” said NY-Best in its filing. The recommendation was based in part on studies by GE. “The information presented by GE demonstrates, at a macro level, how energy storage can be successfully used to shave peak load and that, as renewable assets are added to the grid, storage increases the capacity factor and effective utilization of assets,” NY-BEST said in its filing. GE’s model says that as more renewable energy is added to New York’s grid, an increasing amount of energy storage should be added. At 50 percent renewable energy, 25 percent of the system peak should be energy storage, the filing said. “For New York in 2030, this would be equivalent to more than 8 GW of storage,” said NY-BEST. If New York adds 4 GW, it will see a positive cost-benefit ratio, under GE’s model. When the renewable energy mix is 50 percent, carbon emissions would be reduced by more than 42 percent, with an additional 13 percent decrease in carbon emissions when storage is added. At the 4 GW level, the state still would rely significantly on peaker plants, said the filing, citing the GE study. At the 8 GW level, the use of peaker plants and curtailment would both be avoided. NY-BEST also said New York should create new regulatory and programmatic measures to support 1-2 GW of multi-hour energy storage, including replacing outdated decision-making paradigms and creating new market drivers for storage. In addition, New York should monetize the benefits and services provided by storage, cut project soft costs, create common financing mechanisms and develop the industry to scale. The organization’s comments pointed to the economic benefits of investing in energy storage, citing a Navigant Research study saying that global revenues in the energy storage industry will increase from $675 million in 2014 to nearly $16 billion in 2024. Therefore, establishing an energy storage target could help the state not only achieve its energy and environmental goals, but also substantially grow jobs and the state’s economy, according to NY-BEST. Will NY be the next state to set an energy storage target? The Energy Storage Association (ESA) also filed comments, which support NY-BEST’s recommendation. In addition, ESA said that the New York PSC should look into the use of an energy certificate system that rewards temporal or locational value. “Because energy storage can provide the same time-shifting and other flexibility services to the grid whether or not it is co- located with renewable generation sources, it is important to ensure that certificate systems intending to better align renewable generation with load do not constrain storage to a narrow set of eligible configurations,” ESA said. Storage and other flexible resources could earn, for example, Flexible Energy Certificates (FLECs), the association said. Does a multi-hour energy storage target make sense for New York? 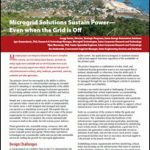 Voice your opinion in comments below or on our LinkedIn Group, Microgrid Knowledge.